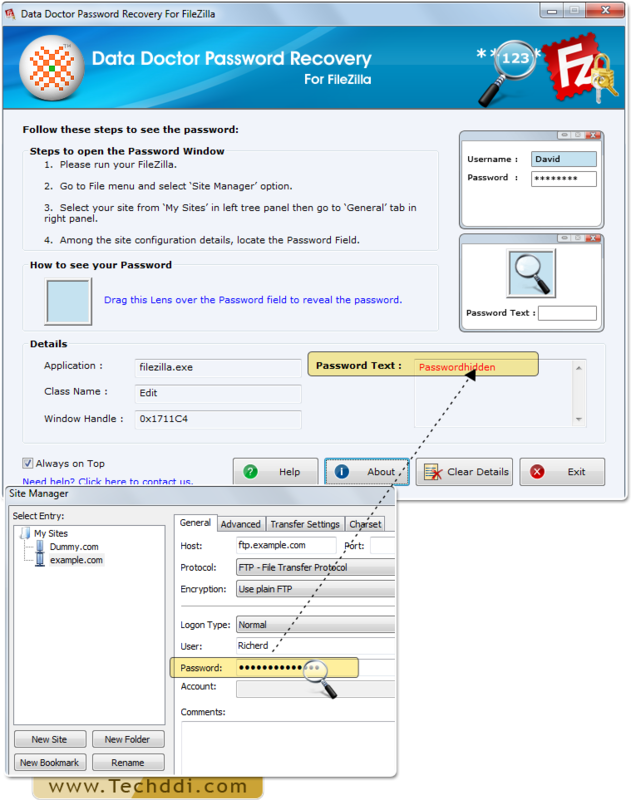 Password Recovery For FileZilla displays lost password from FileZilla software in few countable steps. FileZilla password restoration tool works with all major versions of operating systems. 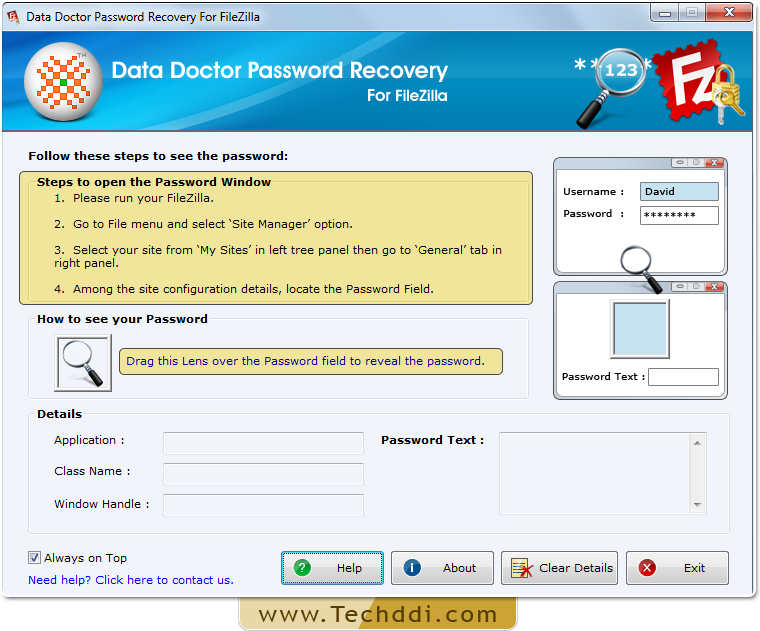 Recovery of password using Password Recovery Software For FileZilla. 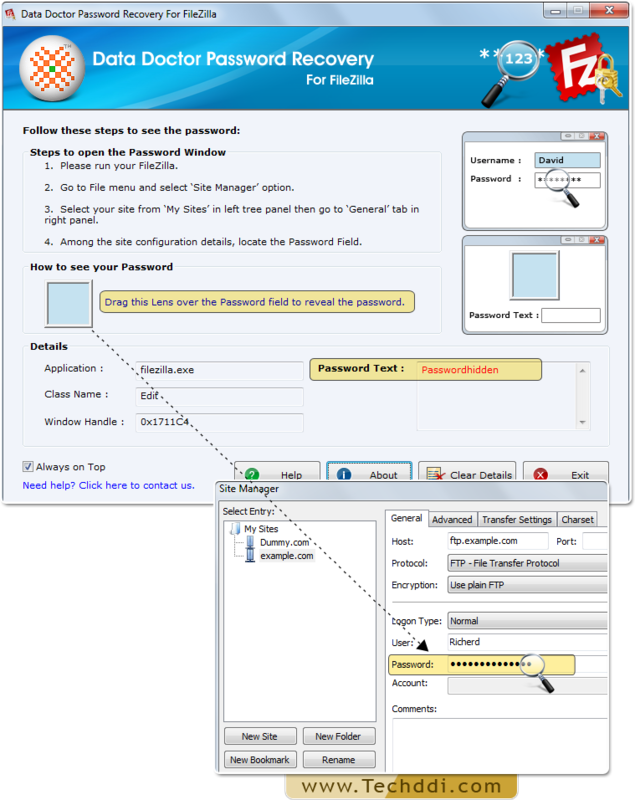 Install and Run Password Recovery For FileZilla. 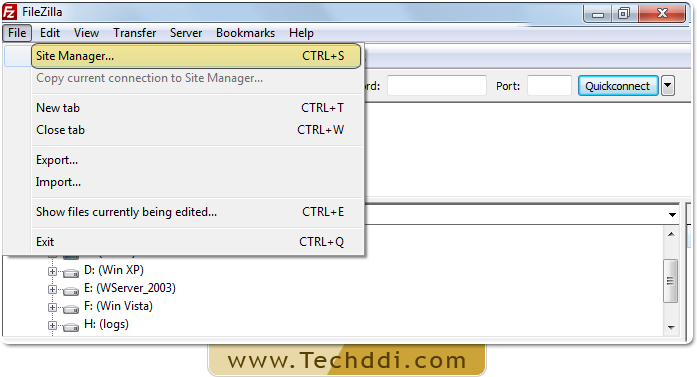 Open FileZilla Software and select ‘Site Manager’ option from 'File' Menu. In left panel, select your site from ‘My Sites’ then go to ‘General tab’ in right panel. Among site configuration details locate the password field by dragging lens over it. Recovered password will be shown in ‘Password Text’ field.